Good morning. Here's an Aphorism release, brought to you with Vendetta Scans. 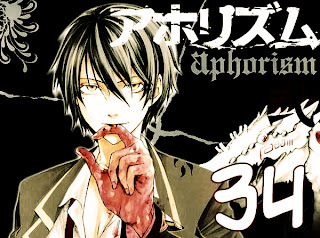 Finally, Aphorism...! To everyone who's been getting bored, I think I can say the action is finally starting to pick up. Also we're starting to catch up to the raw (which is at ch 42 at the moment). Whore-ray! Ayforizm! Thanks yew sow much! thank you so much! and how was your time while you have a hiatus? thanks for your interest! I had a lot of fun and dare I say a life-changing experience? thank you very much!!! how was the trip??? I can like hardly wait for the next chapter. x.x But oh well, take your time. But dang, the raw is only at chapter 42? Oh well. Also, is this released weekly, monthly, or something else? Anyways, thanks for everything!